The experiment was fraught with opposition in the form of harsh conditions and Native Americans. For example, at least half of the second-year crop of wheat was destroyed by an early September frost. 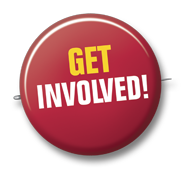 Also, the Native Americans would often petition the settlers for food and supplies. True to Brigham Young’s admonition that it was cheaper to feed them than to fight them, the Saints were often obliged to share their scant supplies. 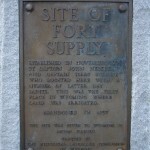 At the time of being settled, Fort Supply was located in the Utah Territory; it is now in Uinta County, Wyoming. Irrigation was first introduced to the area at Fort Supply, and it was also the first Anglo-Saxon settlement in what would become Wyoming. 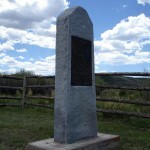 In 1855, The Church of Jesus Christ of Latter-day Saints purchased Fort Bridger, and the area continued to experience success, thanks to Jim Bridger and Louis Vasques. Additional families were sent to Fort Supply in 1856 to help strengthen the settlement and continue the progress they were making. Later that year, supplies were also sent from Fort Supply to assist the Martin and Willie handcart companies, which suffered while coming west across the plains. 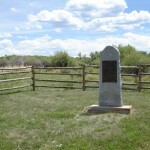 With the approach of Johnston’s Army in 1857, both Fort Bridger and Fort Supply were abandoned. In order to the slow the advance of the army, both forts were burned. Fort Bridger was rebuilt in 1858 and occupied in the name of the United State government; it remained in federal possession until 1890. Fort Supply was never rebuilt. 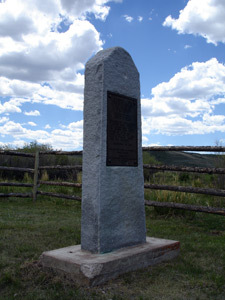 In 1937, a monument was erected near the original location of Fort Supply to pay tribute to the early pioneers who settled the area. 1 Andrew Jenson, “Fort Supply,” Improvement Era, Vol. 24, No. 9, July 1921. Andrew Jenson, “Fort Supply,” Improvement Era, July 1921, Vol. 24, 800-804. Andrew Jenson, “History of Fort Bridger and Fort Supply,” Utah Genealogical and Historical Magazine, January 1913, Vol. 4, 32-39. Fred R. Gowans, Fort Supply: Brigham Young’s Green River Experiment, (Provo, UT: Brigham Young University Press, 1976).